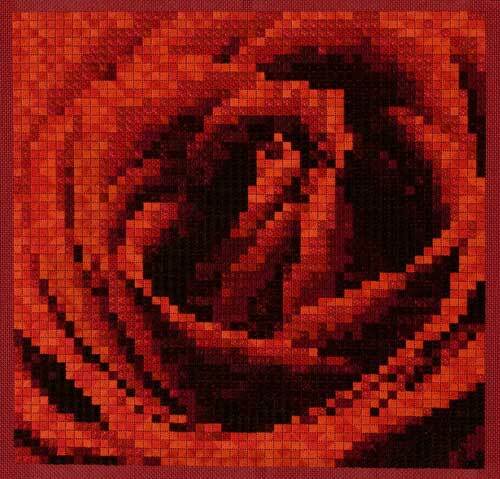 American Beauty Needlepoint creates a mosaic portrait of the rose, using only 8 needlepoint stitches and 8 overdyed cotton flosses. 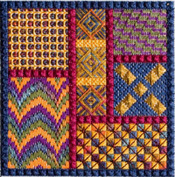 The chart is laid out like a cross stitch chart or a needlepoint chart. Because it is stitched with stranded cottons, it can be sized down to 24 ct. Congress cloth, using fewer strands.